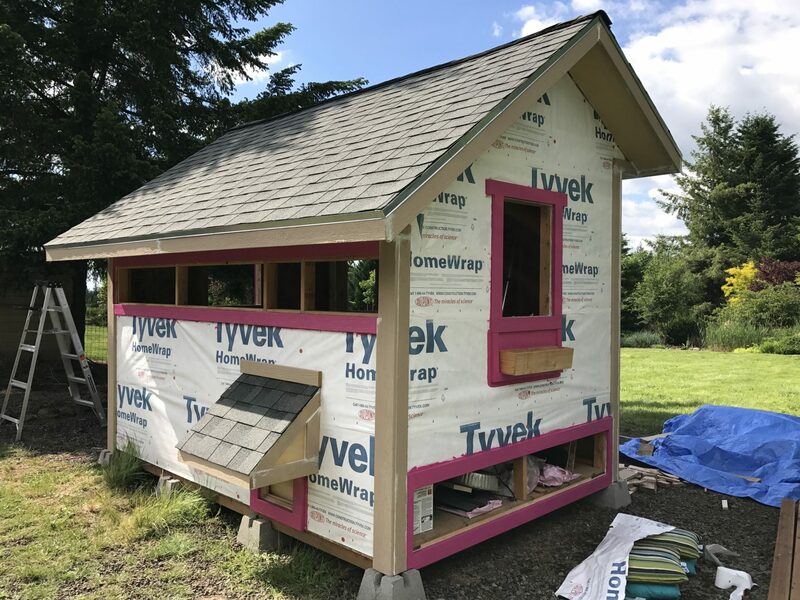 It was a bit drizzly yesterday and this morning, but this afternoon we both did some work on the coop. Jenn painted the window & door frames a bright pink, while I did some small stuff: I tweaked the front door frames, built a pop door, and pop controller internal door. Just one picture today, showing some of Jenn’s work.